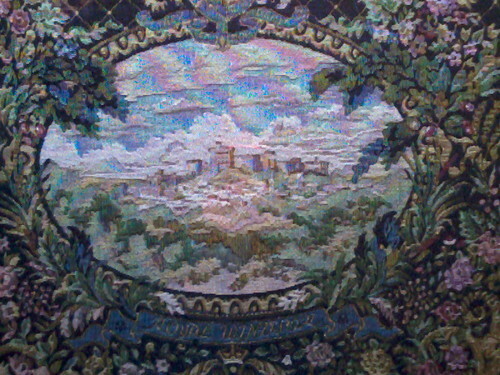 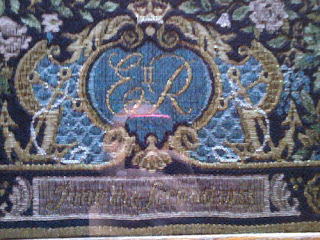 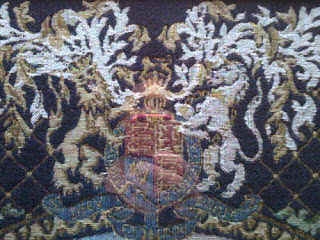 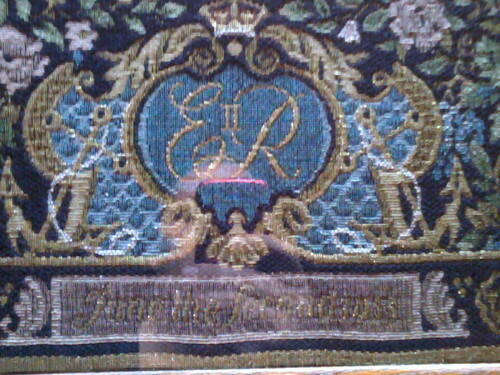 A commercially-woven tapestry to celebrate the coronation of Elizabeth II in 1953, featuring a distant view of Windsor Castle. 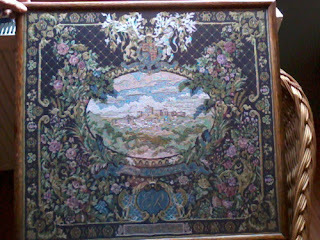 This example is framed under glass. Measures about 24inches x 24inches. As a commercially-woven rather than hand-stitched it's outside the 'collection development' parameters of this blog, but I thought I'd document it here. If you know more about this design, please do leave a comment.